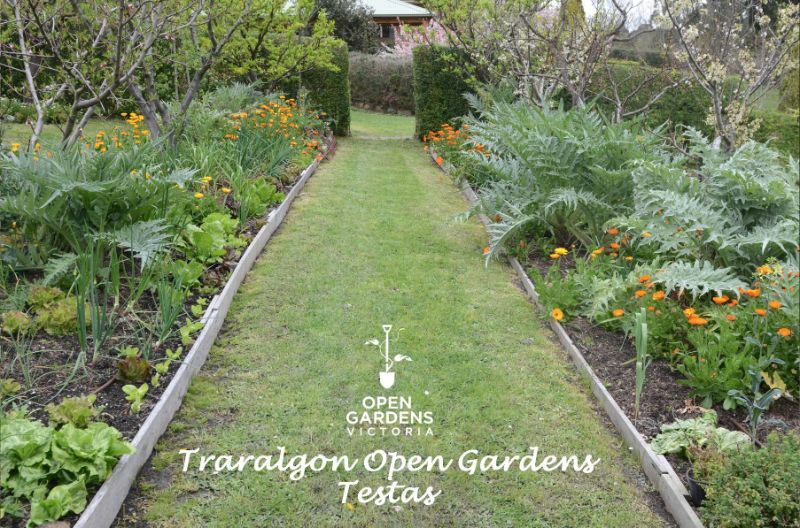 Open Gardens Victoria will open six gardens to the public on the weekend of 12 and 13 November in Traralgon’s very first Open Gardens program. Proceeds from the openings will go towards expanding LaTrobe Valley’s Life Skills for Young People program, which currently can’t keep up with demand. 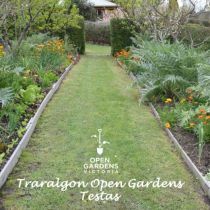 Gina Symonds, a Social Worker and Nutritionist who is a strong supporter of the Life Skills program, realised the Traralgon area had never had a coordinated series of garden openings before and saw the possibility of using the wealth of lovely local gardens as a fundraiser. The six gardens selected are sure to delight. There are sustainable, productive, plant lover, historic and artist’s gardens to satisfy all interests. 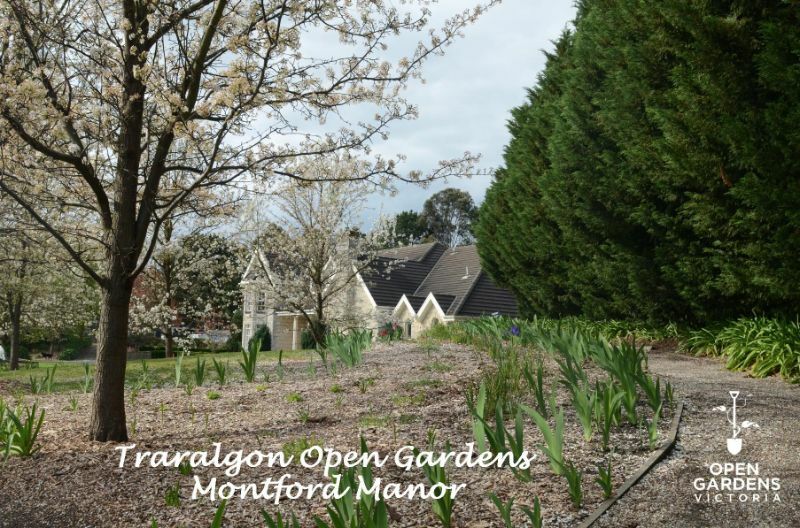 All are within easy driving distance from the centre of Traralgon. South of Traralgon, at Jeeralang Junction Into the Blue is set in bushland near the Morwell National Park. Visitors will find a mud brick house tucked into the landscape, flanked by lawns which have been carved from the hill. Drystone walls create a series of terraces. Pathways lead from a tiered Japanese garden, past closely planted beds near the house to a gully walk. Lovely grouping of plants and sculptures are a feature. 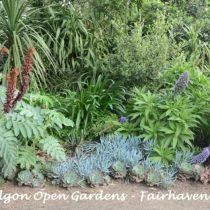 Rare and unusual plants blend seamlessly with natives, with wonderful combinations of colour and textured foliage. The colour palettes are stunning. There will be plants for sale and tea and coffee will be available. 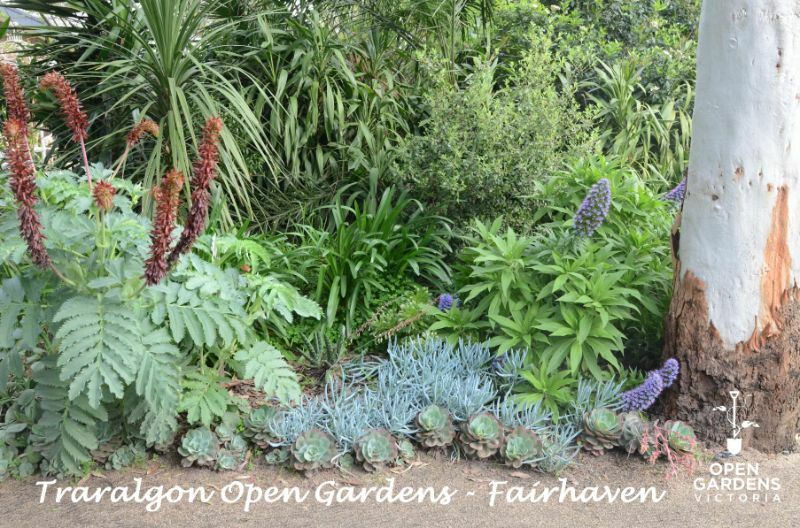 A few kilometres away in Hazelwood North is the Seven Acres garden with a wonderful collection of rare and unusual plants. Meandering paths lead through a series of garden rooms. Special features include a magnificent camellia hedge, fernery and a summerhouse with a tower that offers 360 degrees views of the garden. 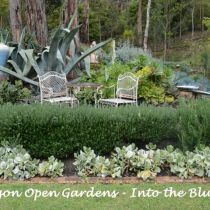 Deep garden beds burst with colour, while a huge vegetable garden, beautiful maples, an orchard, citrus and birch groves are guaranteed to interest gardeners of all levels. The lattice shade house is a highlight. 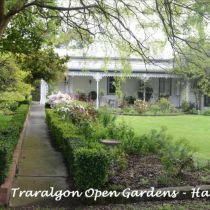 In Traralgon to the north is Harpfields, where an established garden surrounds an historic homestead. 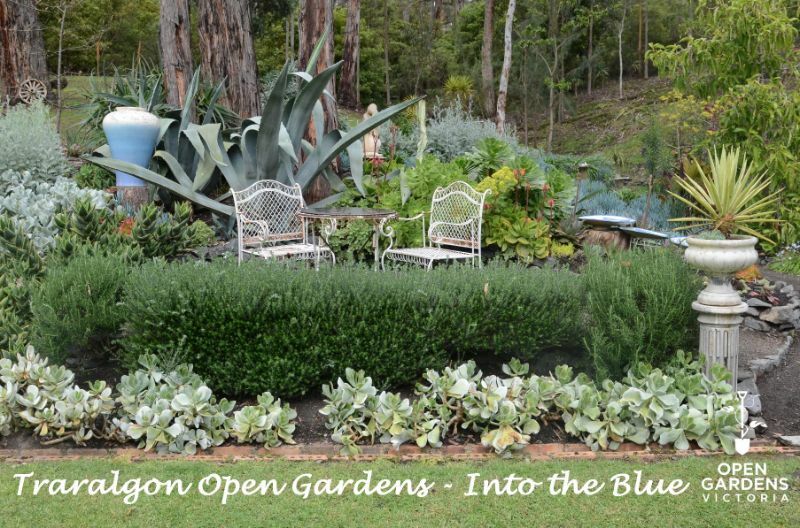 Magnificent trees, roses, feature plants, hedges and a gazebo are just some of the highlights. The garden truly comes to life in the spring when the cottage garden and the roses are in full bloom. Visitors will be seeing this garden at its best. 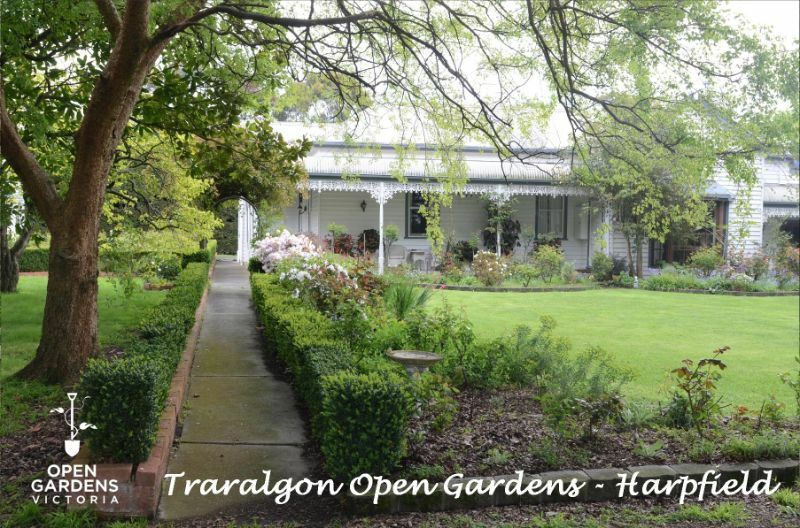 Just off the Traralgon West Road heading into town is Fairhaven - a charming home surrounded by majestic gum trees. Pathways lead through shrubberies, past sweeping lawns and under a rose arbour towards a Japanese garden and a landscaped dam lined with irises. Along the way, various structures, statues and old farm machinery provide interest. Visitors will be able to enjoy a Devonshire tea as they take a well-earned rest! 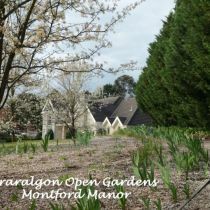 Slightly further to the west are the stately seven acre grounds of Montfort Manor. Beyond a stunning tree-lined driveway of 26 Manchurian Pears, parkland sweeps down to a lake. Visitors are encouraged to picnic in the grounds, listening to live music wafting from the gazebo. Close by the centrepiece of Maria & Sal Testa’s productive garden is an impressive vegetable garden. This is a garden of many parts. There are fruit trees galore, with citrus and nut groves, an apple orchard and a number of trees where Sal has experimented with grafting many different fruits onto single trees. All are labelled and make for fascinating viewing. There is also an extensive rose garden, a native garden, a Liquidambar arbour and an Oak walk all set against the background of a large dam. A variety of plants will be available for sale.